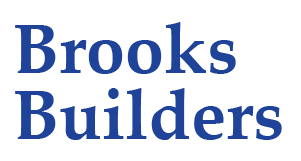 “In the summer of 2011, after meeting with several builders, we met David Brooks. We immediately felt very comfortable with him and knew from our first meeting that we were in good hands. We were living in Florida when the crew broke ground and many decisions had to be made via email. David and his wife Holly were extremely helpful and communicative, offering suggestions, helping us make the right decisions, and sending pictures so that we could see our home beginning to take shape. We were fortunate to be able to return to Greeneville once the frame was up and we got to know the crew very well. We were very impressed with everyone who worked on our home. They all are highly skilled, conscientious, friendly men who answered all of our many questions and gave us tips on adjusting to life in the country! By May, 2012, our home was finished and we couldn’t be happier. David took our plans, followed them precisely, and listened to us as we described the look we were going for. I have to say that in this day and age, we feel blessed to have found a builder who truly cares about making clients happy. 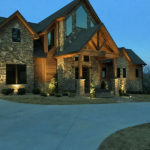 See pictures of the house in “Retirement Dream” in our portfolio pages.